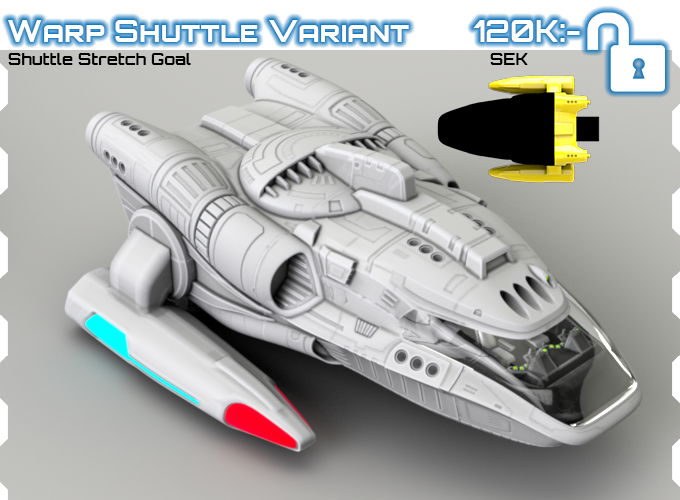 Über Kickstarter sollen mit der Kampagne Starship III – Fully 3D Printable 28mm Spaceships, Raumschiffe in 28mm für den 3D Drucker finanziert werden. 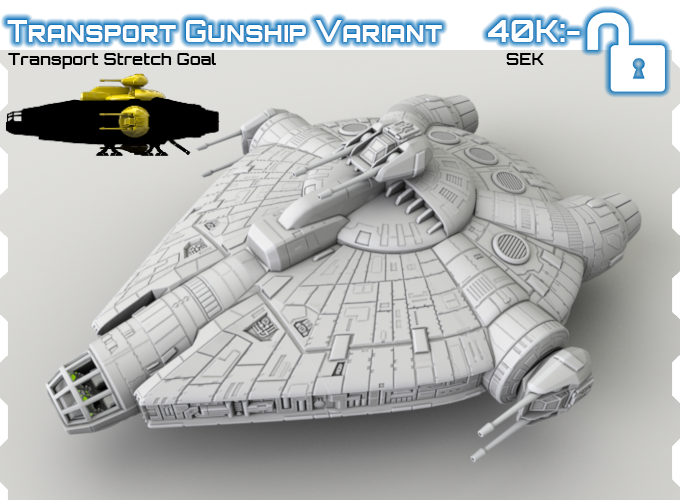 Update: 15 stretch goals, including 11 ship variants and 12 miniatures unlocked! 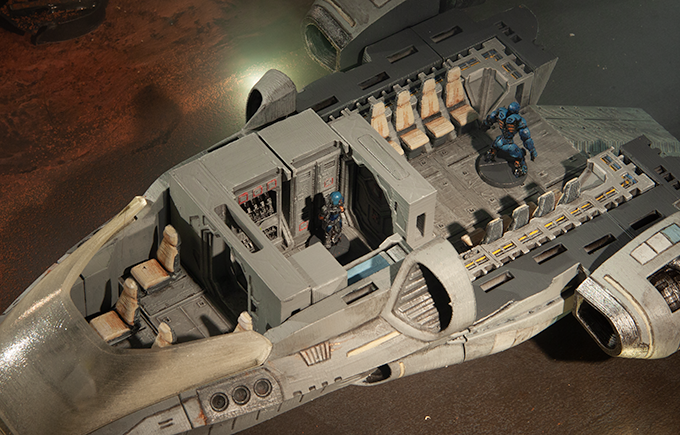 Seek adventure amongst the stars! 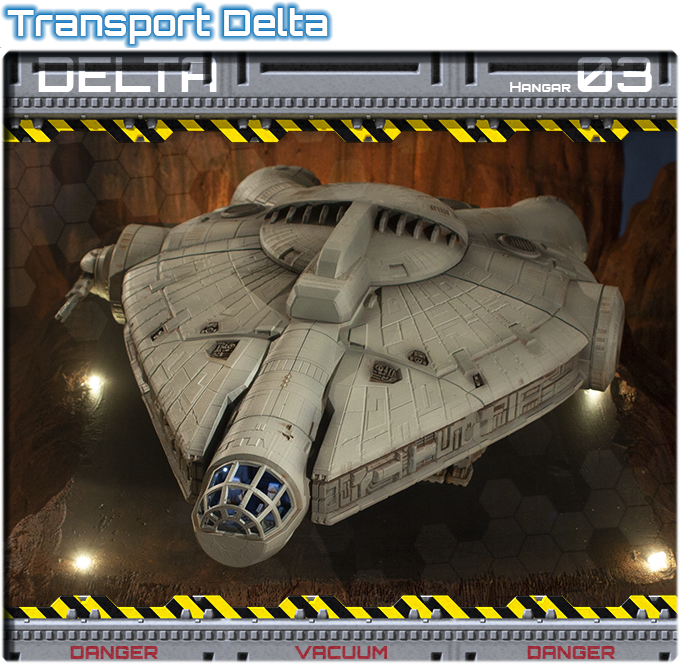 Explore strange new worlds, smuggle illicit cargos across the hyperspace lanes or launch a space to ground assault, in your Scout Ship, Transport, or Space Shuttle! 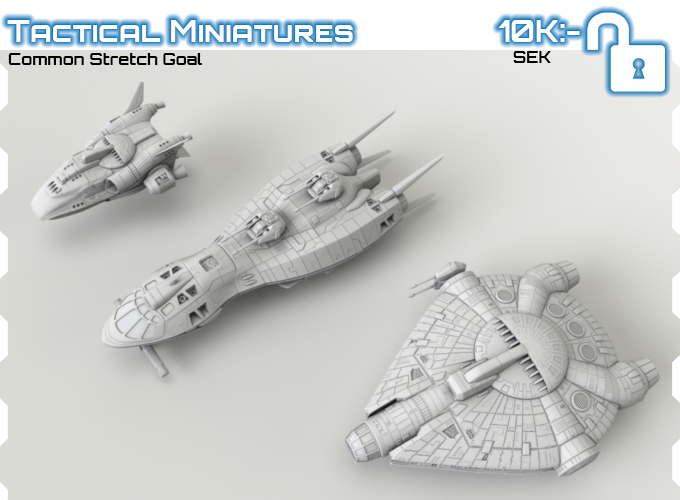 Starship III introduces three original, fully 3D-printable spaceships scaled for 28mm play in your favourite Tabletop RPGs or Wargames. 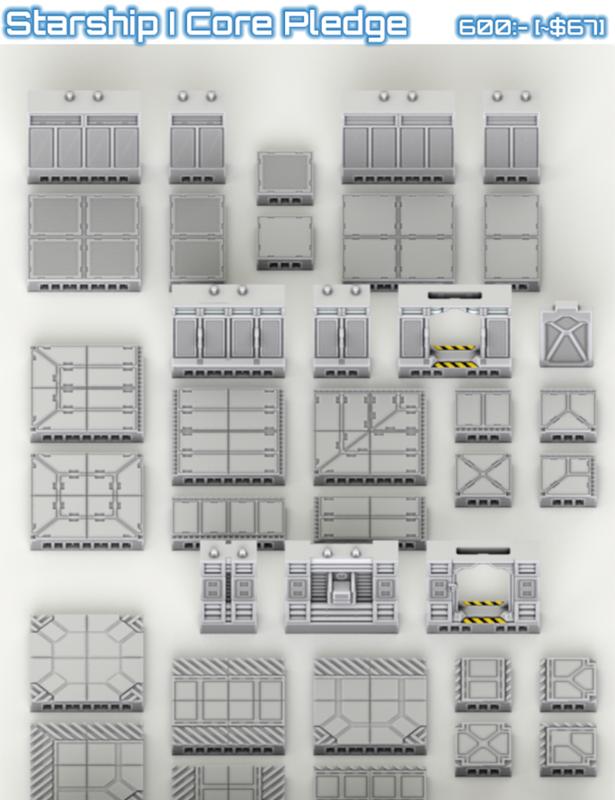 Complete with OpenLOCK-compatible modular interiors, the ships are detailed inside and out and a variety of configurations can be used to customise the deck plans. 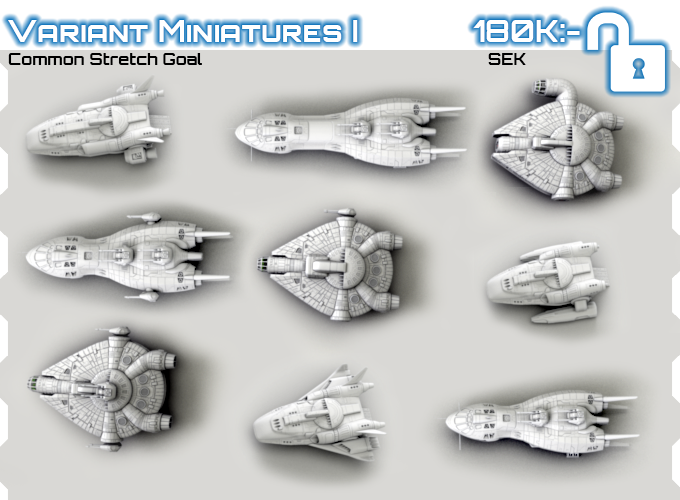 As the campaign unfolds, new starship hull variants and modules will be unlocked as stretch goals to bring even more variety to your game and increase the pledge value for everyone. 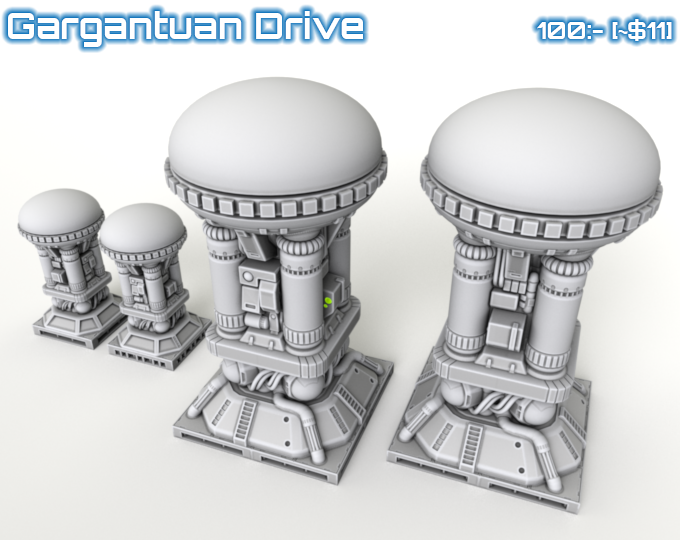 Need a way to get your units from the ground to orbit? 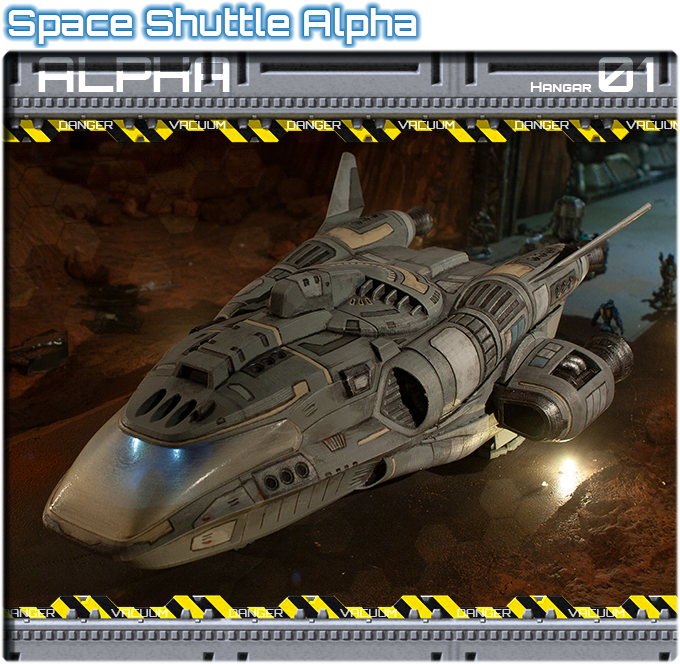 This space shuttle is fully modular and can be configured as a dropship, cargo shuttle, or even a small starship. 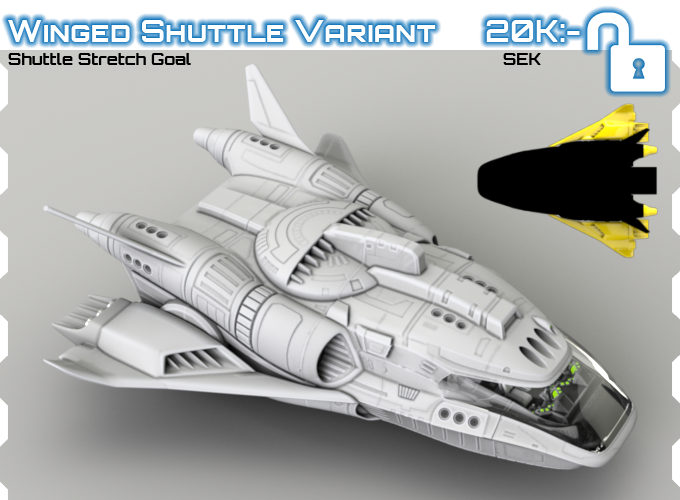 The stock standard aerodynamic fuselage comes complete with manoeuvring thrusters, sensors, landing gear and articulated main thrusters for VTOL operations. 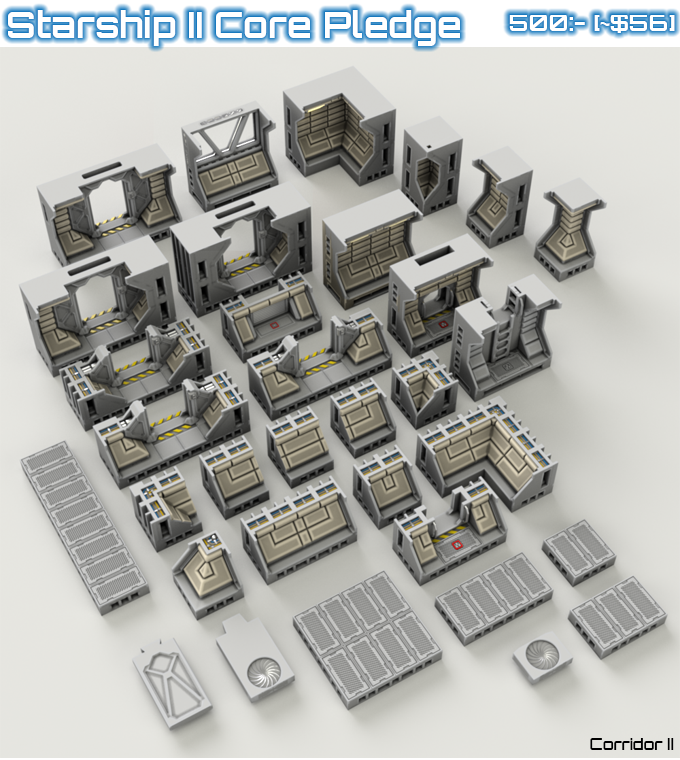 Modular standard deck plan of shuttle interior. 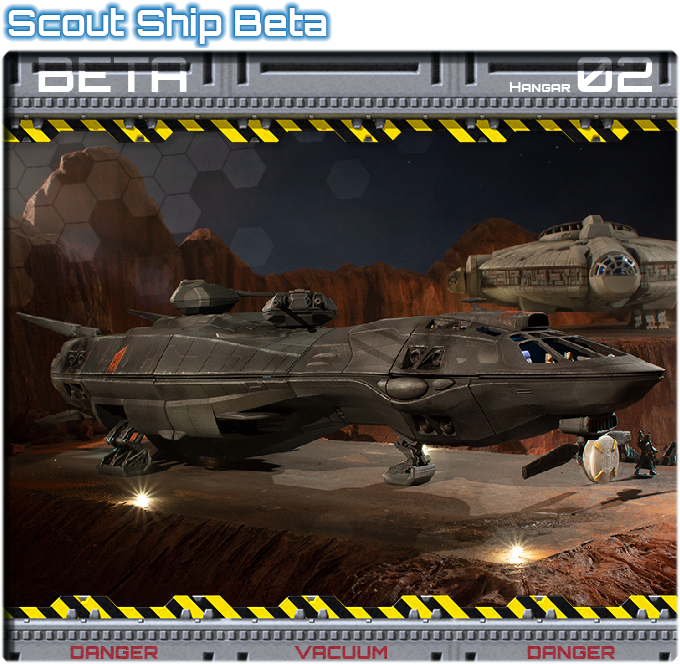 Explore deep space and final frontiers with this full 28mm scale scout ship, designed stock-standard for long haul endurance scout missions. 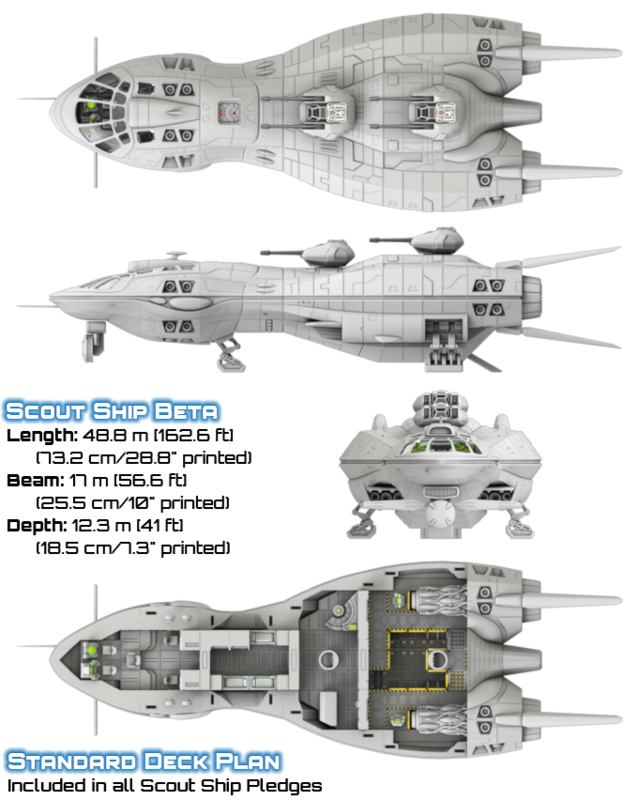 Includes two manned turrets for defending in rough territory, a full sensor suite package for scanning new systems, a well equipped engineering section, cargo hold, living quarters and a 5-station forward bridge. 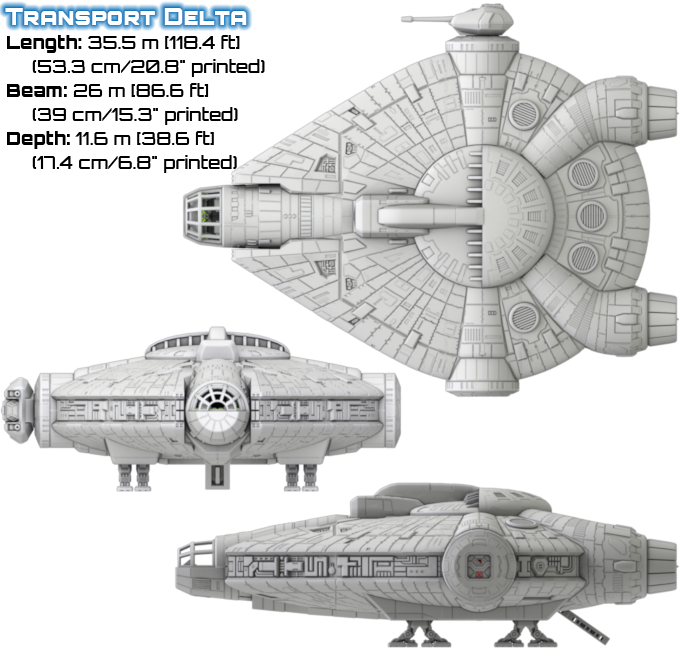 Cruise the hyperspace lanes in this high-speed transport. 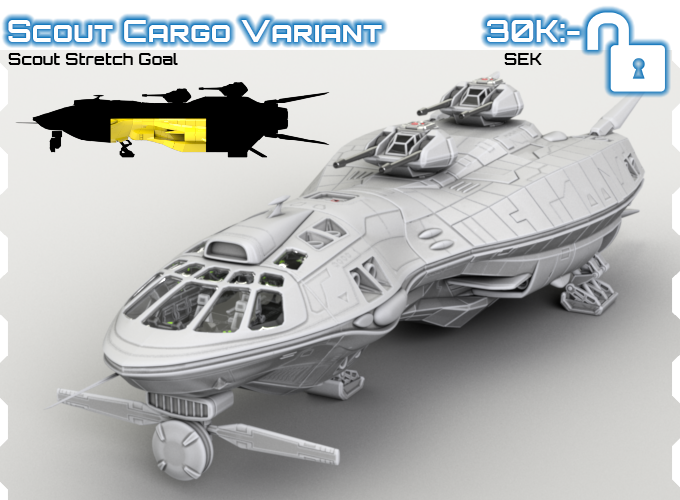 Haul cargo – legal or illicit – with two massive engines to get you from point A to point B. Manoeuvre with the fluidity of repulsor technology and defend yourself with manned or unmanned turrets and a powerful shield generator. 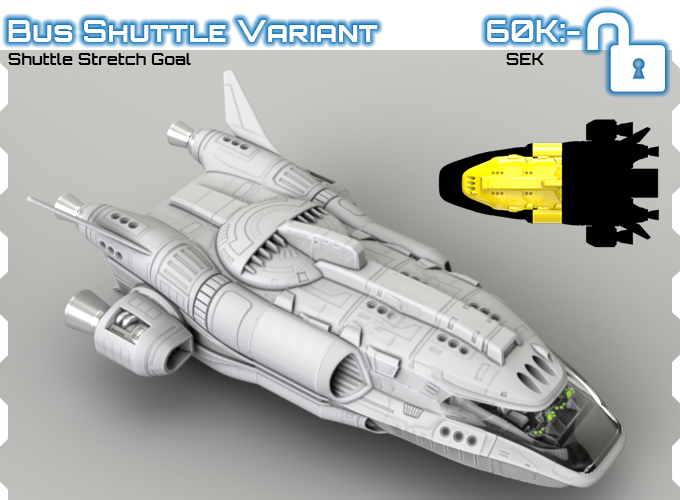 For each stretch goal we shatter in funding, the value of your pledge will increase, new freebies and add ons will become available, enabling additional ship configurations, armaments, and features. 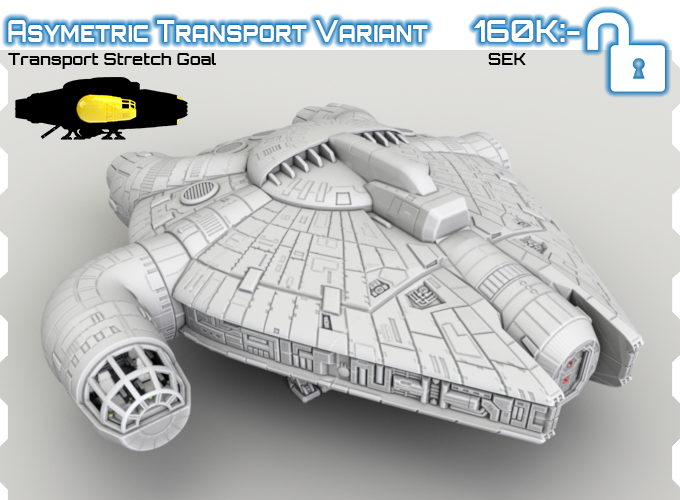 Each stretch goal is labelled as an Add-On, Common, Shuttle, Scout or Transport Stretch Goal. 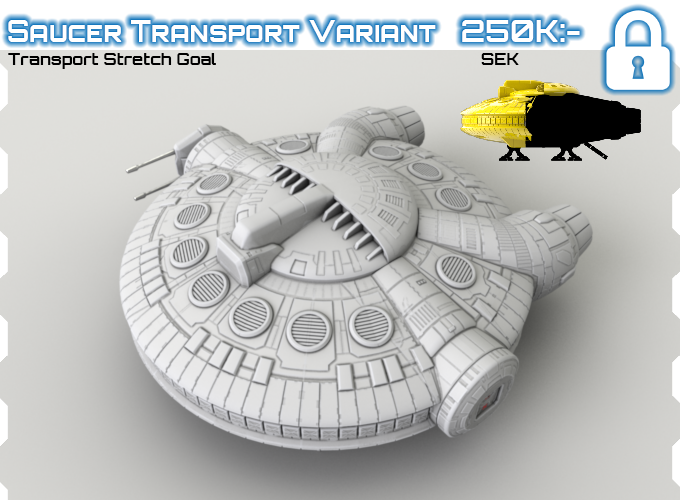 If the ship is included in your pledge, you get the stretch goal. 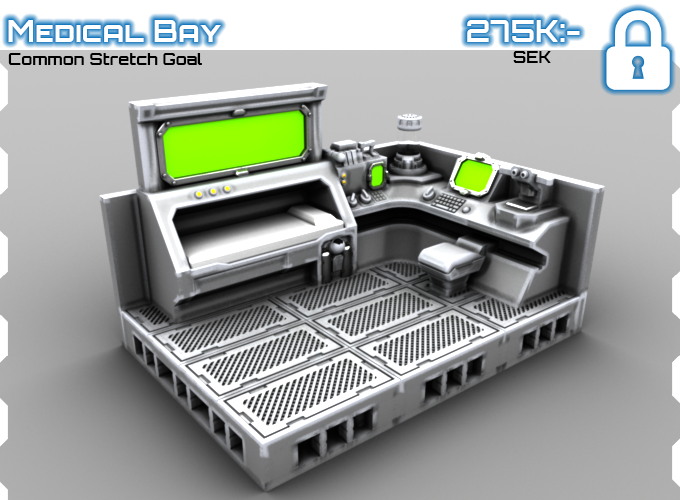 Common Stretch Goals are in every pledge that offers a reward. 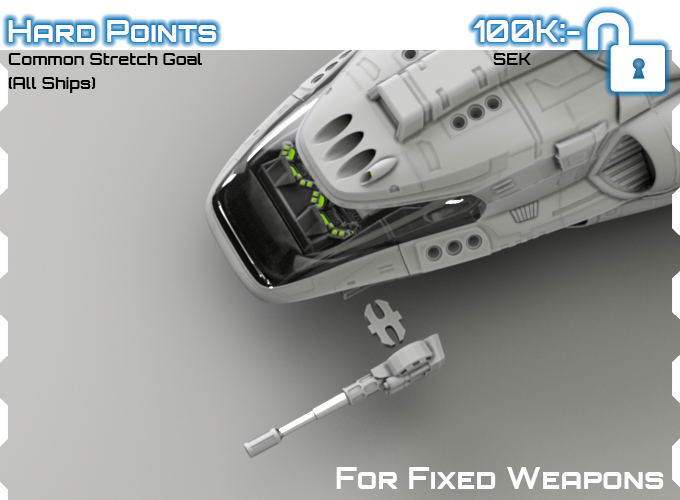 Add-On Stretch Goals unlock hidden campaign add-ons for purchase. 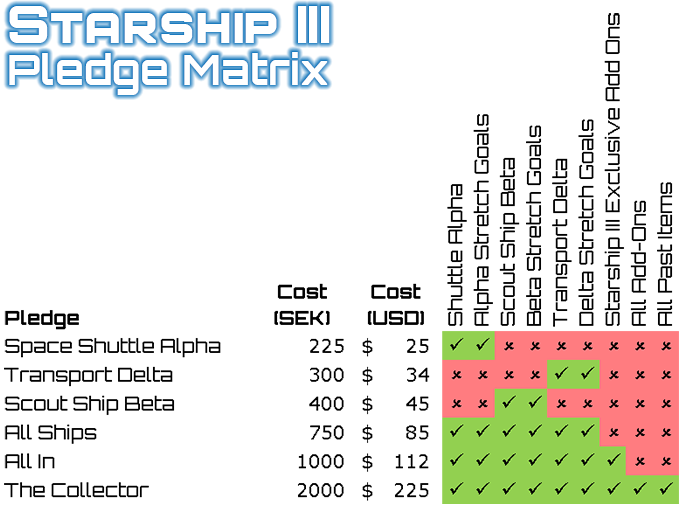 Add-Ons are items that can be added to your pledge amount by increasing the pledge amount corresponding the add-on. 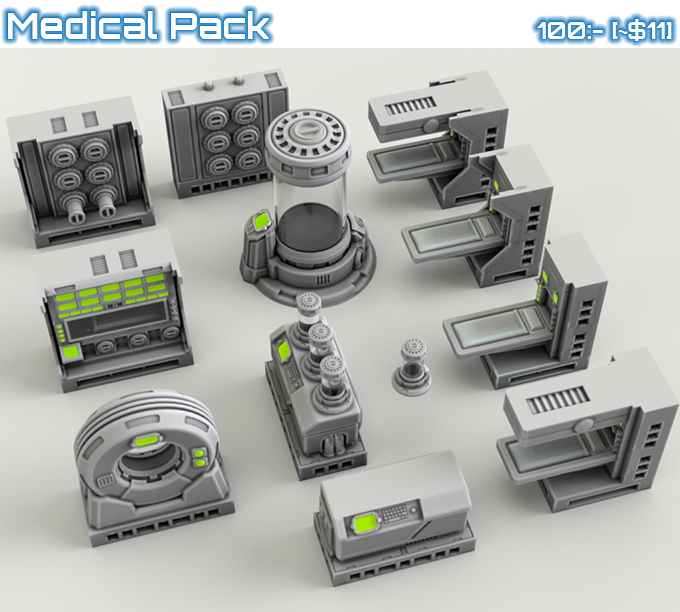 You can also add additional add-ons before the fulfilment phase of the post campaign BackerKit. 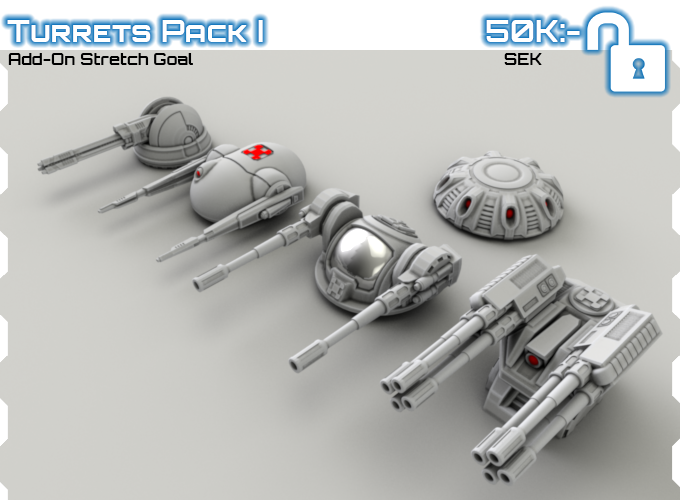 Some stretch goals release new Add-Ons, unique to this campaign. 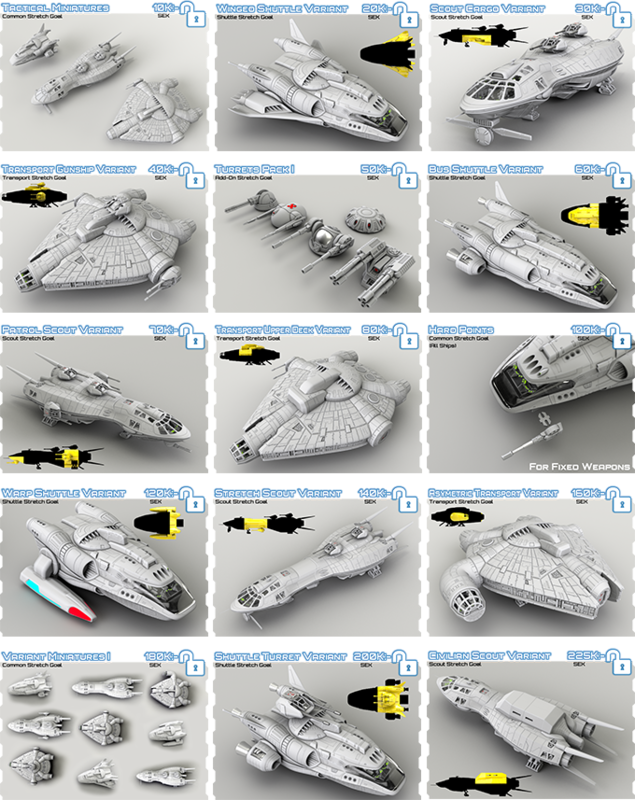 In order to print these ships yourself, you will require access to an FDM printer or a 3D printing service. 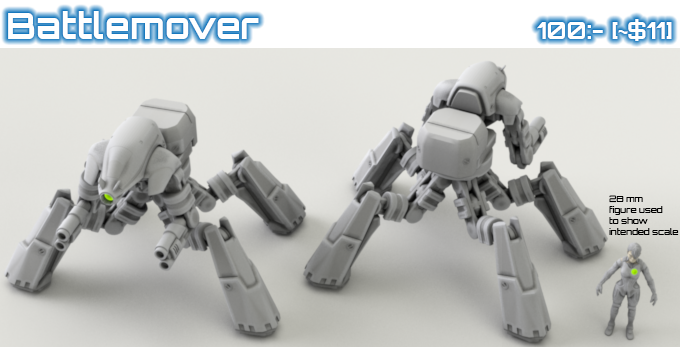 These designs should be fully printable in PLA, ABS or PEI, and have been test printed in PLA. 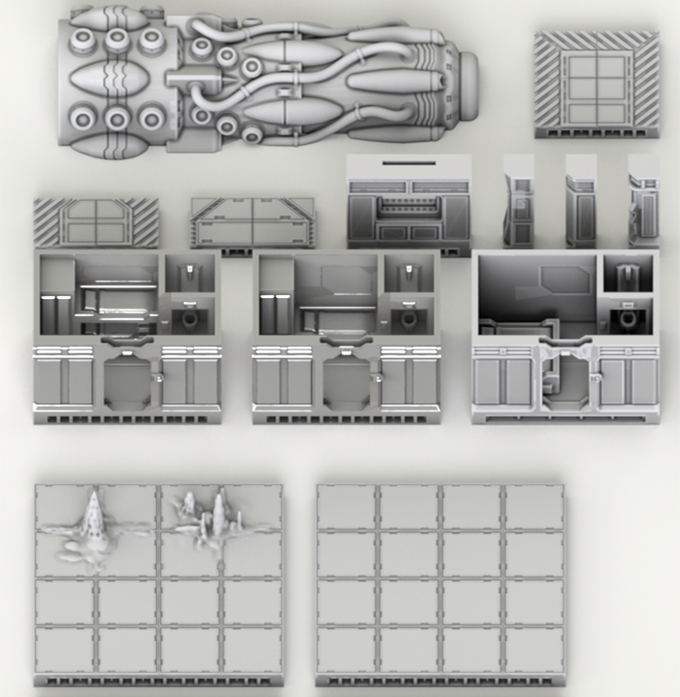 The ships have been designed to be modular and clip together using the OpenLOCK clip available free from Printable Scenery (get the clip as part of this package here). 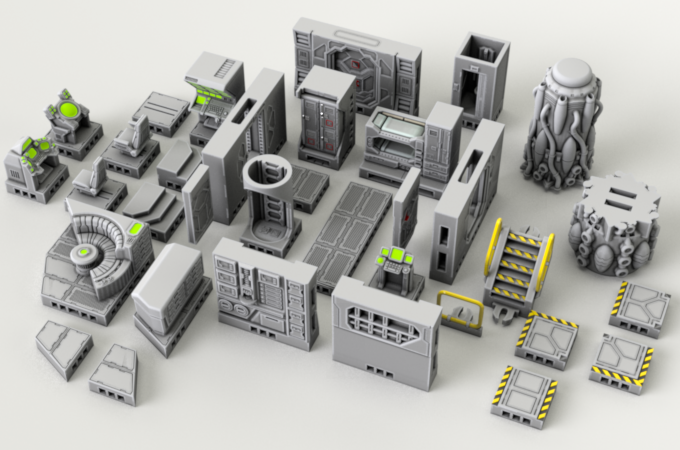 However, the parts are quite large, and not suitable for all printers, so before pledging, ensure that your printer can accommodate parts. 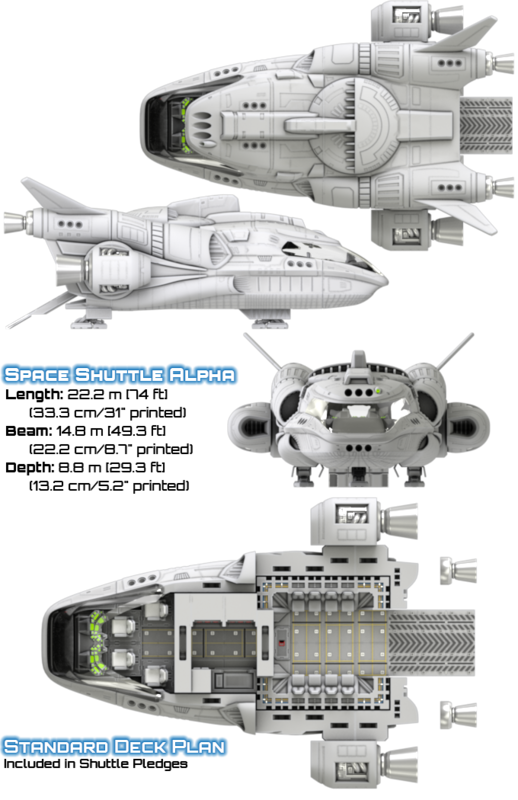 Shuttle: The shuttle has been designed for smaller print bed sizes and should print on 140×140×140mm print beds and up (5.5×5.5×5.5″ and up). 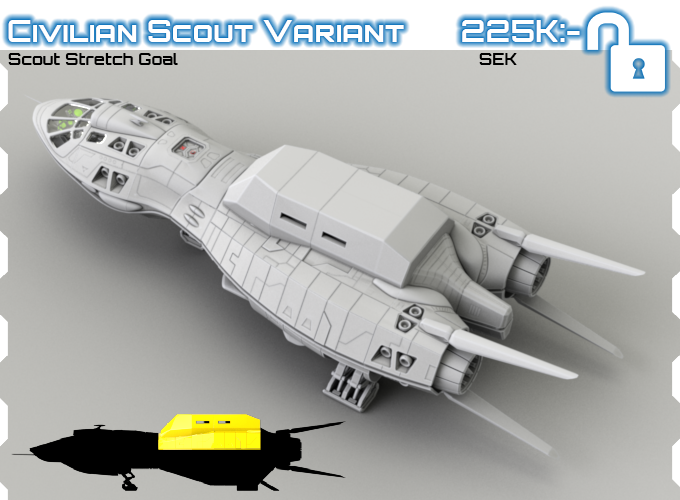 Scout Ship: The scout ship has larger parts and was designed for printing on a Flashforge Creator Pro or larger, which has build volume of 227×148×150mm (8.9×5.8×5.9″). 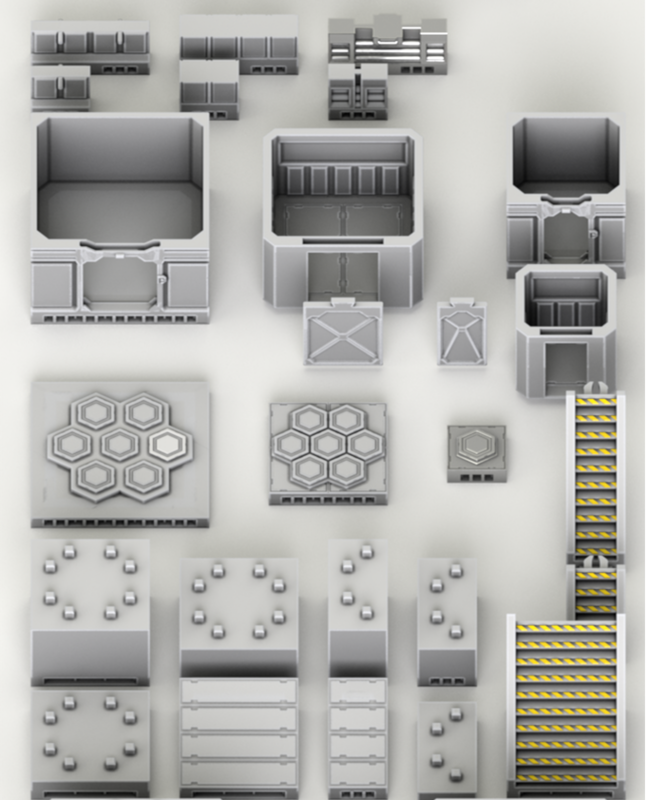 Transport: The transport has larger parts and was designed for printing on a Flashforge Creator Pro or larger, which has build volume of 227×148×150mm (8.9×5.8×5.9″). 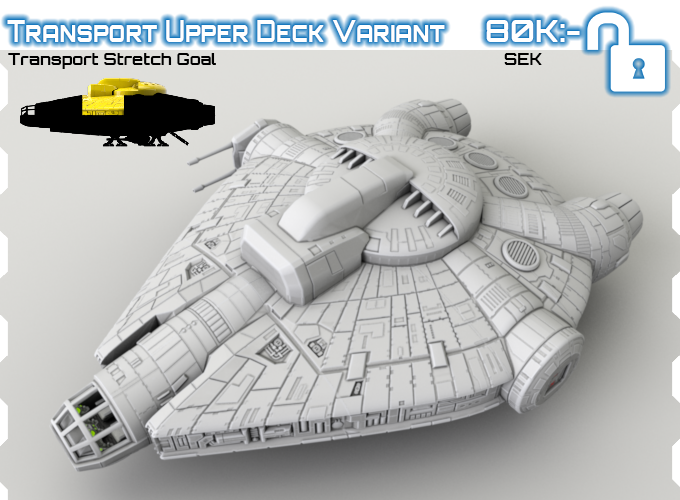 Note: There are some margins if parts are rotated, etc., but these are the minimum recommended specs. 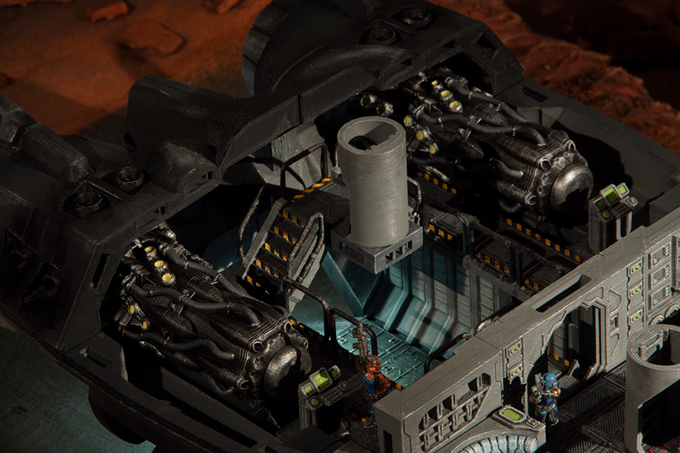 We have a small, tight-knit team of collaborators supporting 2nd Dynasty. 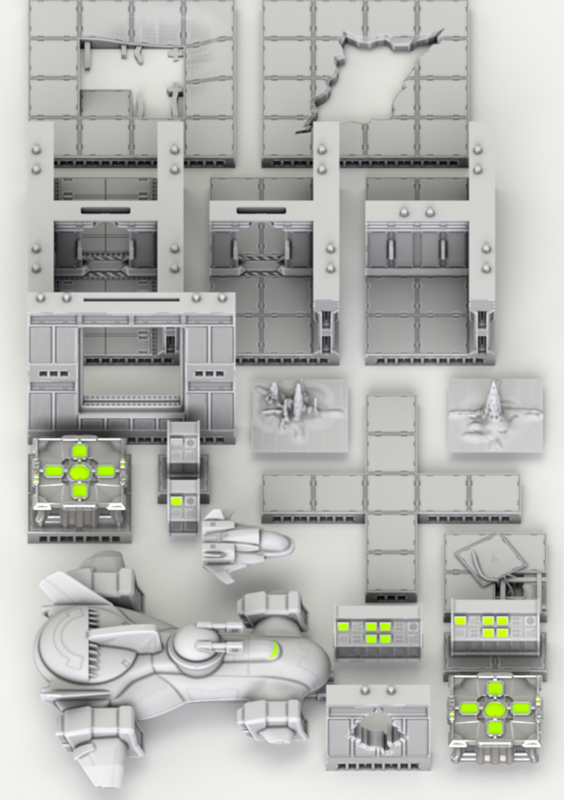 Our beautiful set was created by Micke from Dockhus Animation Studios. 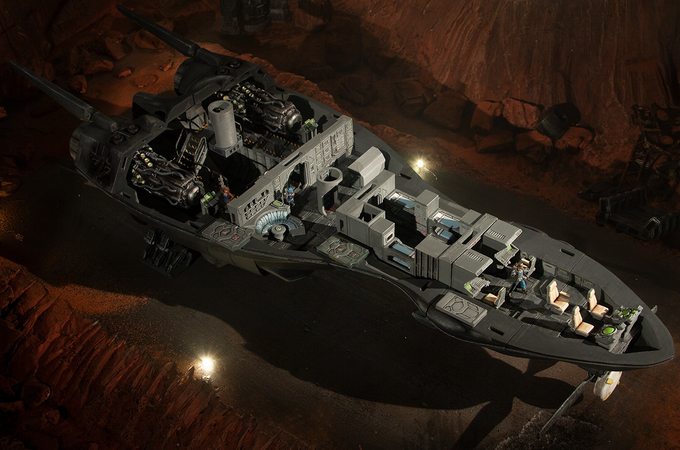 The set is approximately 2 metres by 3 metres, and features a combination of old school kit bashing and models from Starship I and II, with additional Sci-fi models provided by The Dragon’s Rest. 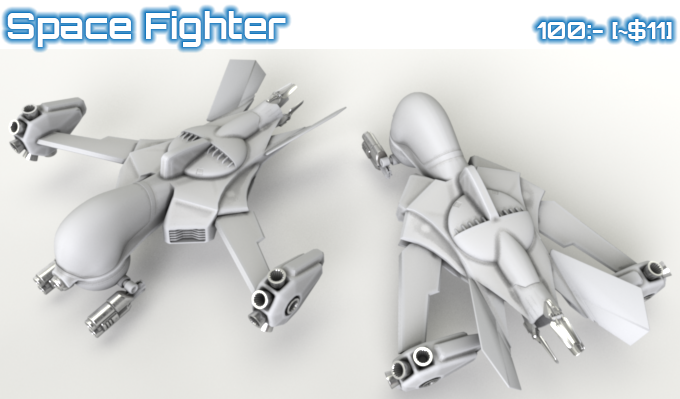 We love engaging with our fans, and it is fan feedback which lets us know what you guys want to see from us in the future! 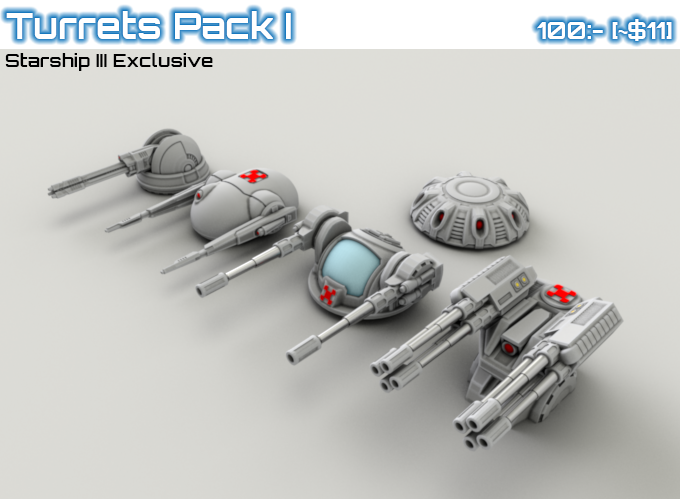 Follow us on Facebook and Twitter, or join our communities on Facebook or Discord. 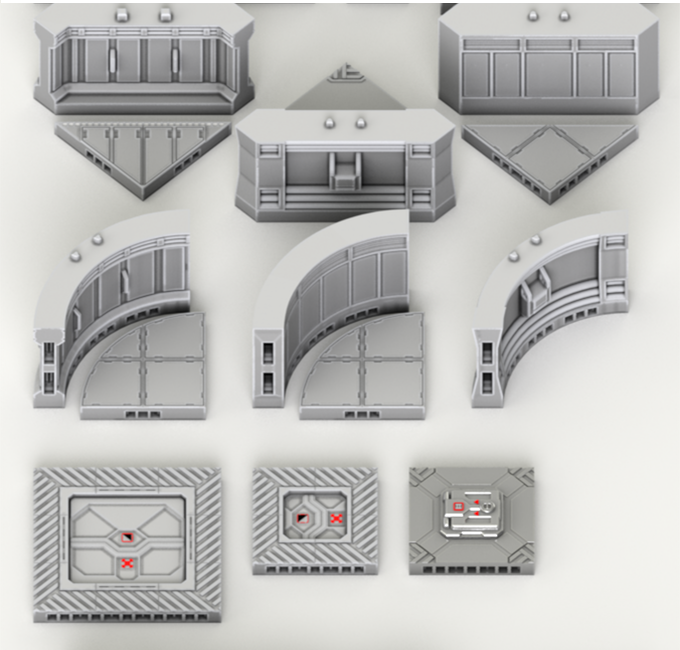 We are also active on MyMiniFactory. 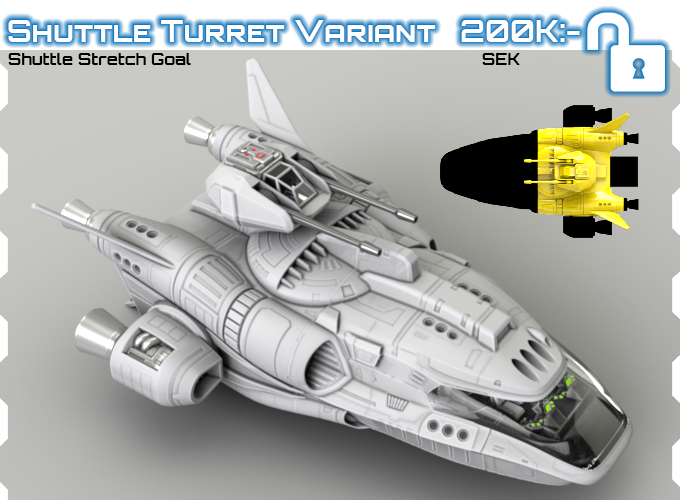 We have already launched and delivered two successful kickstarters since 2017. 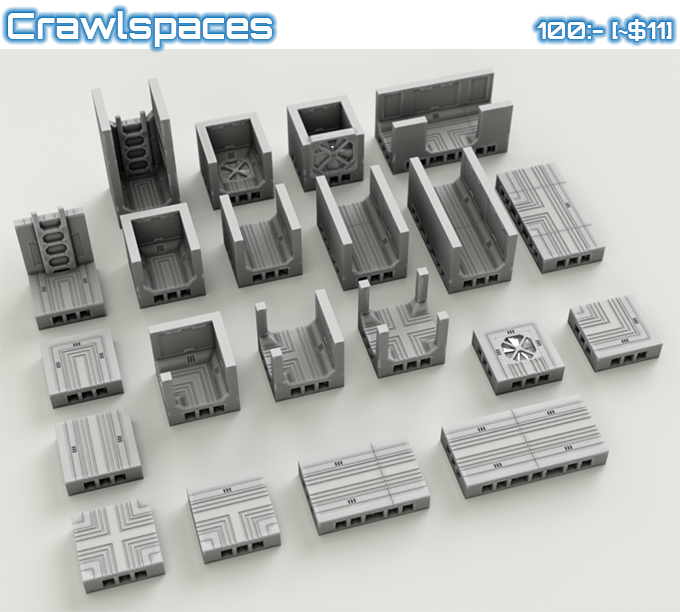 All of the initial files offered are already made and printable, so are ready for direct delivery. 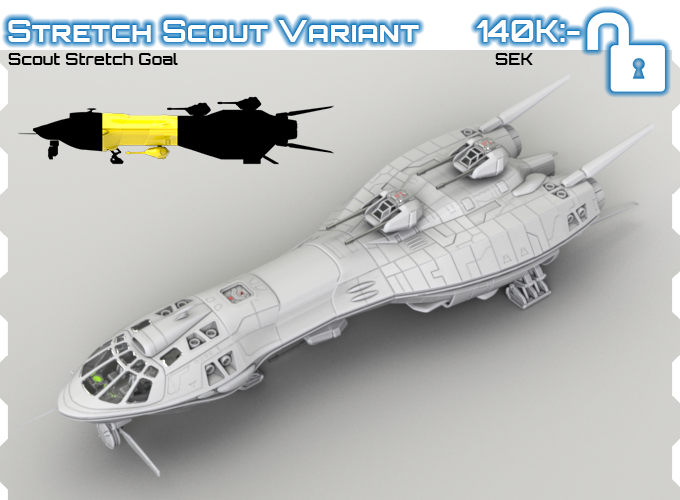 The risks are in the delayed delivery of stretch goals, add-ons and additions created during the course of the campaign. 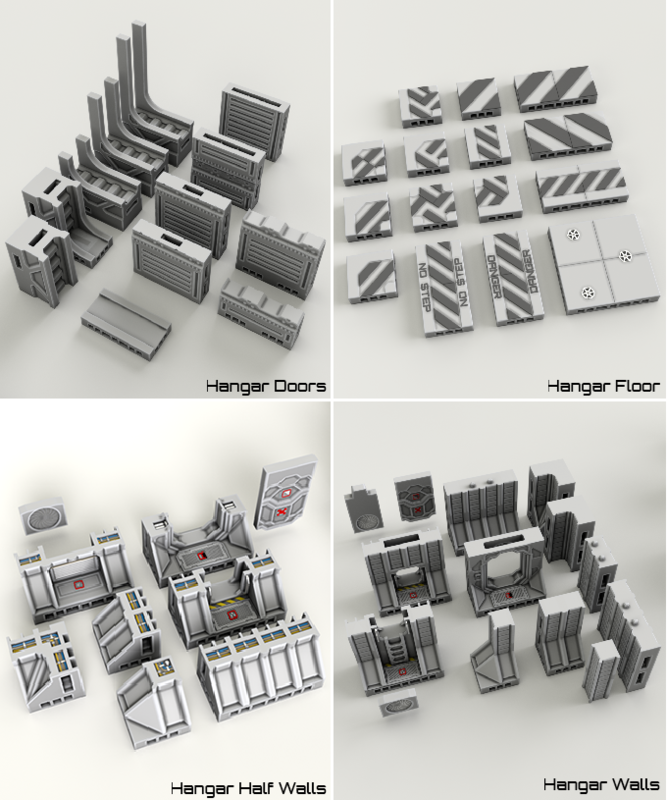 Historically, we have had some delays, but generally not more than a few weeks. 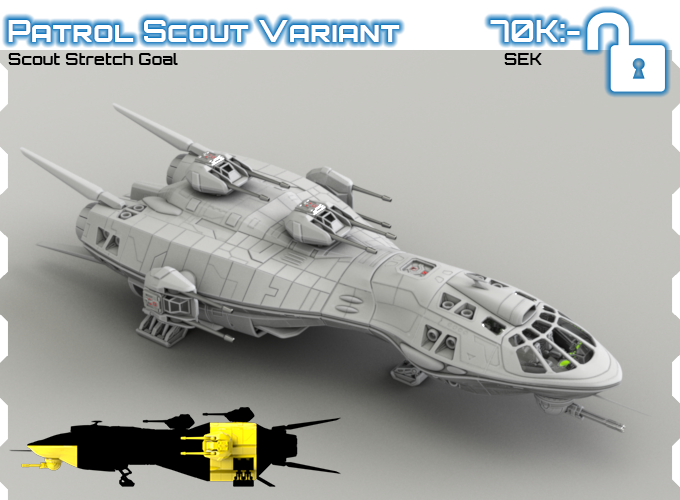 We tend to do staggered releases, making available STLs as they are completed on a weekly basis. 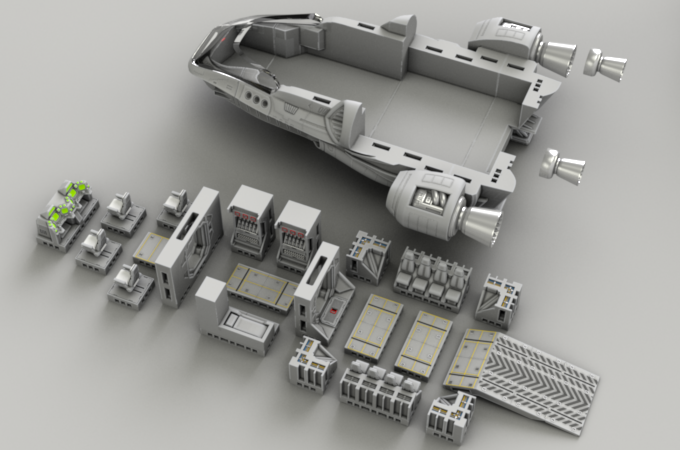 This time we are not offering commissions, so there will be fewer delays, and the ships are all fully printable already. Die Kampagne steht bei 25.702,00 USD, hat sein Ziel von 554,00 USD bereits weit überschritten und läuft noch 21 Tage. 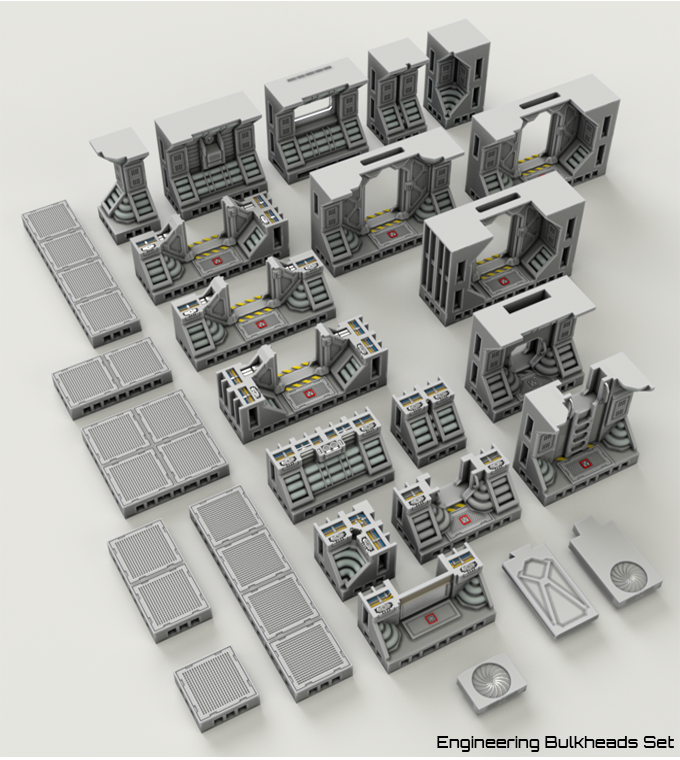 Wow, ich finde die super, hab bloß keinen Zugang zu einem 3D Drucker. Printservice (ist wie ein Copyshop, leider auch ähnlich teuer). besonders das Interieur beeindruckt mich und lässt das Bastlerherz höher schlagen.